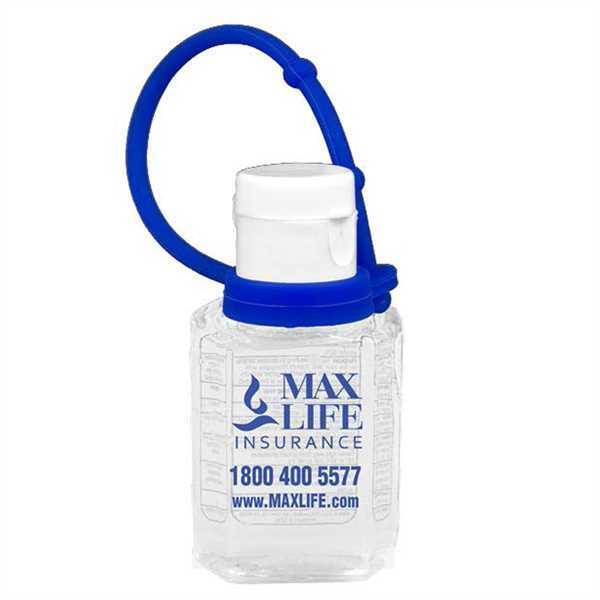 Put your promotions right in their hands with this custom bottle of hand sanitizer! This standard size bottle features 1 oz. of citrus scented hand sanitizer antibacterial gel and comes with a colorful silicone leash to attach to a bag, backpack or anything you want for easy access on the go. It also has a fun round shape, which provides a wider imprint area to showcase a logo or brand name using spot color or full color printing. This product meets FDA standards. Spread brand awareness - not germs!